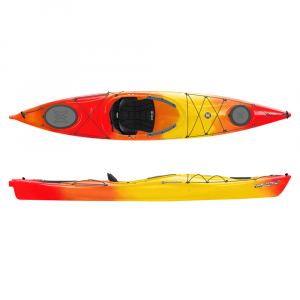 Super stable and straight-tracking, the entry-level Perception Access kayak with paddle has a padded, high-back molded seat and molded-in foot wells for a fun and very affordable paddling experience. With plenty of knee room for fun-loving first timers on lakes and ponds, Perception Conduit 9.5 cuts through water, tracks well and offers excellent acceleration and speed for its nimble, small size. Sit, stand and play! The Perception Hi Life 11.0 kayak is stable, even when you're standing or sharing with kids and pets, with a padded deck from bow to stern, it doubles as a stable swim platform. Packed to the gills with fishing features, the Perception Pescador Pilot 12.0 Pedal kayak is equipped with a performance-engineered pedal drive system for hands-free fishing or recreational cruising. Chock full of fishy features, with the tracking and stability discerning anglers have come to expect, the Perception Pescador Pro 10 is a real fishing kayak for real fishing enthusiasts. 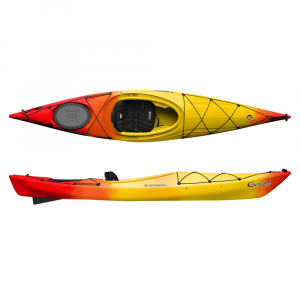 From lakes to slow-moving rivers, this stable recreational kayak is ready to get on the water. It's easy to throw on your car, easy to store, easy to maintain and, best of all, easy to afford. 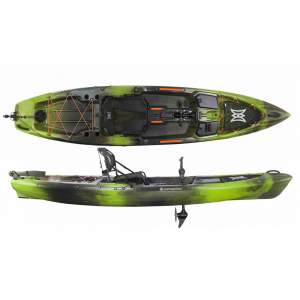 All access fun for recreational paddlers and kayak anglers, the affordable Perception Sound 9.5 kayak is stable and easy to transport; great for lakes, ponds and slow-moving rivers. A great all-around sit-on-top for almost any sized paddler, this easy-to-handle sit-on-top has extra storage and respectable speed that both beginners and veterans will enjoy. This versatile tandem sit-on-top features a 3-seat configuration for up to 2 adults and a small child or pet. It's a great way for the family to explore lakes, ponds and slow-moving rivers. 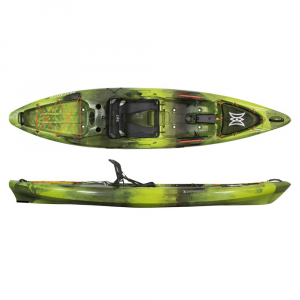 This stable, easygoing sit-on-top kayak performs well in surf and rough ocean conditions, but is also speedy and maneuverable on flatwater and lazy rivers. This stable day-touring kayak is ergonomically engineered for women and small paddlers who want sporty performance and enough cargo space to enjoy an entire weekend on the water.